MOHAN Foundation - "Support Group for Patients, Physicians and Public"
MOHAN Foundation is a not-for-profit, non-governmental organization started to promote organ donation in 1997 in Chennai by philanthropists and medical professionals led by Dr. Sunil Shroff. It is a registered NGO with Income Tax exemption under Section 80G and 35AC and has offices in Chennai, Hyderabad, Delhi-NCR, Chandigarh, Nagpur, Jaipur, Mumbai and USA. MOHAN Foundation was started by a group of like-minded and concerned medical and non-medical professionals committed to increasing the reach of the Transplantation of Human Organs Act. The Government of India passed this act in 1994 to broaden the concept of organ donation and stop commercial dealings in organs, especially kidneys. It is now possible to not only donate one’s eyes, but also other vital organs like the heart, lungs, liver, pancreas and kidneys. The mission of MOHAN Foundation is to ensure that every Indian who is suffering from end stage organ failure be provided with the 'gift of life’ through a life-saving organ. 5) To liaise with Government (State and Central) to pass favorable legislation that will help increase organ donations in India. 1. Public Education for Organ Donation - Donor Cards in different languages and organ donation awareness campaigns are the focus of the public education group. 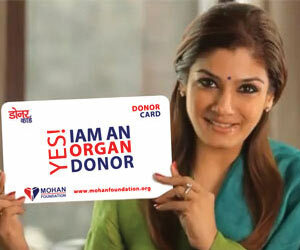 The Donor card in English was the first to be launched on 12th January 1997. The Donor card enables people to express their wish to donate their organs. These Donor Cards are distributed along with a brochure entitled “A Priceless Gift,” which explains the concept of organ donation. Over 250,000 Donor Cards have been distributed so far in English, Tamil, Telugu, Marathi and Hindi. Eminent dignitaries like Mrs. Nita Ambani, Reliance Industries Limited, actor / social activist Revathy, Judge Krishna Reddy and cricketer Kris Srikkanth have all been presented with Donor Cards. The Foundation also has literature on prevention of different diseases and organ transplantation. 2. Indian Transplant Newsletter (ITN) – The Indian Transplant Newsletter is being published since 1998 and is currently in its 27th issue. 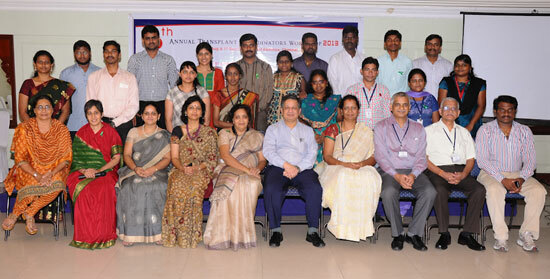 It carries national and international transplant news and keeps track of the Indian cadaver transplant programme. The executive committee has doctors from the transplant field from all over the country and abroad. 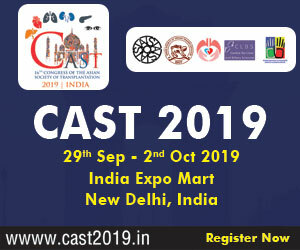 About 1500 to 2000 copies of the newsletter are dispatched every quarter to transplant clinicians and members of the public in India and abroad. 3. Patient Support Group (PSG) – MOHAN Foundation started a Patient Support Group (PSG) for organ failure patients and their families to give them a platform to discuss their problems with each other and also interact with a panel of experts comprising doctors, dietitians, and counselors. There are about 300 members in the group both in Chennai and Mumbai. Subsidized transplant related medicines to needy patients are supplied. 4. INOS (Indian Network for Organ Sharing) in Tamil Nadu & Andhra Pradesh – INOS was formed first in Tamil Nadu in November 1999 with Apollo Hospitals, Sri Ramachandra Hospital, Sundaram Medical Foundation, (all from Chennai), and Christian Medical College Hospital, Vellore in the group. In Andhra Pradesh, the hospitals that have benefited from our work are Nizam’s Institute of Medical Sciences, Global Hospitals, Care Hospitals, Medwin Hospitals, Mediciti Hospitals, Kamineni Hospitals, Osmania Hospitals, Krishna Institute of Medical Sciences, Star Hospitals and Innova Hospitals. CHOOSE LIFE…WITH MOHAN FOUNDATION…Organ donation is all about giving life – life that only YOU can choose to give to help the thousands of patients waiting for an organ or tissue transplant.